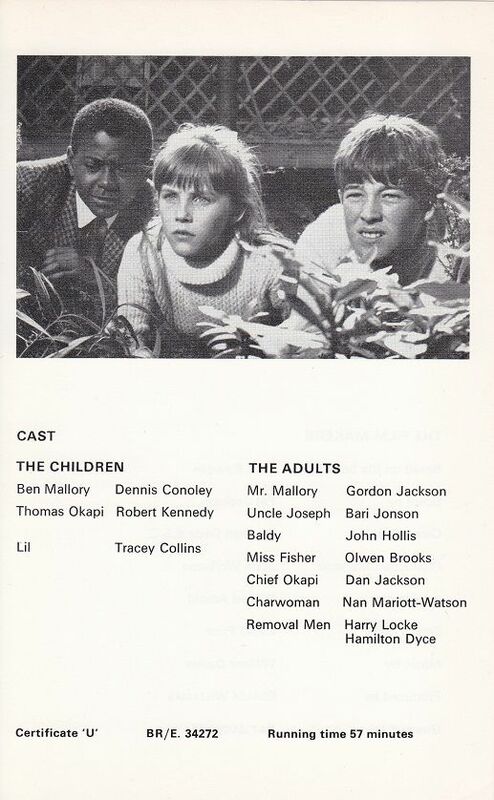 On the Run, was a Children's Film Foundation Film, released in 1968, the story of the film is about the attempted kidnapping of the son (Thomas Okapi) of a visiting African Potentate, Thomas Okapi (Robert Kennedy), makes friends with local children Lil (Tracy Collins) and Ben Mallory (Dennis Conoley), who has just moved to a new flat in London, Thomas, Lil and Ben, uncover the kidnap plot, and decide to run away, Gordon Jackson plays Mr. Mallory (father of Ben), On the Run, was a very good late 1960s CFF Film, which I have enjoyed watching a few times, Gordon Jackson and the three child Actors, give very good performances, below, you can see a clip from On the Run. An obscure one to add to the watch list there billy. Is this available on legal DVD? On the Run, has never been released on DVD, I have got a copy of the film. 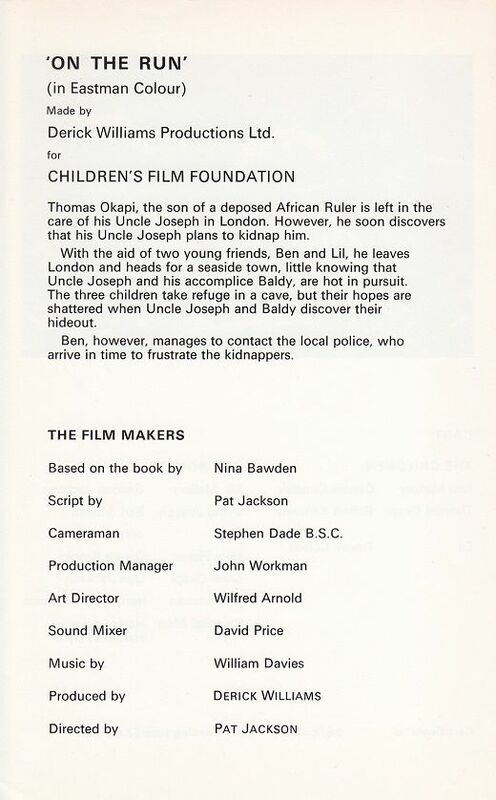 Some CFF merchandise (which I obtained on eBay), for anyone who has never seen On the Run, best to read the first page, after you have seen the film. I hope this can get shown by Talking Pictures or have a UK DVD release at some point.